Like Roger de Vlaeminck, when he sits down with his Brooklyn team before facing Eddy Merckx in Paris-Roubaix in the film A Sunday in Hell, you need a good breakfast. 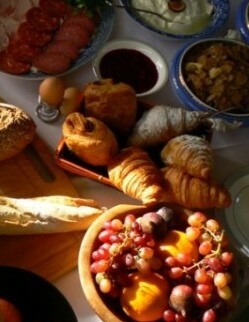 As we watch them tuck in, the narrator says: “The competitors consume a solid breakfast. Brooklyn is a good team… A rare steak is a good breakfast for what lies ahead”. Rather than tax your digestion with a rare steak, we give you a breakfast you’ll remember for the right reasons! We understand that getting a good cyclist’s breakfast is a crucial part of your holiday. During your week, you are asking your body to do something out of the ordinary—ride six or seven big rides back to back. With your legs having to perform beyond their comfort zone, the last thing you want to do is ask your stomach to cope with something it’s not used to as well. 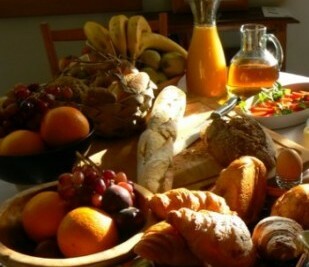 We make sure that you find the food you want to eat (and you’re used to eating) on the table each morning for breakfast. Our breakfasts are designed with quality, quantity and variety all in mind—our cyclist’s breakfast should be a highlight of your day, we think. It should also be plentiful for you to fuel up for the ride. 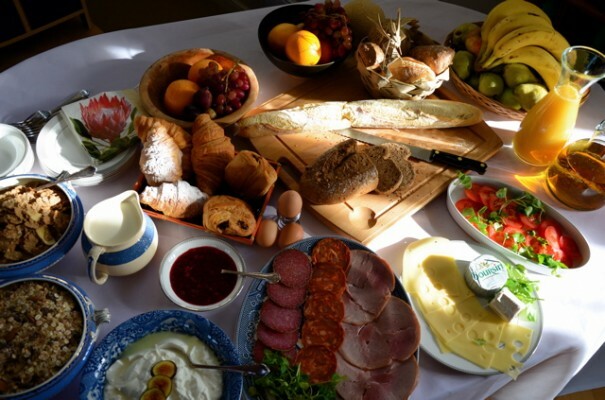 When you come down to breakfast in any of our villas, you’ll find the table piled with breads, pastries, cold meats, tomatoes and cheeses; there’ll be a huge selection of fresh fruit; there’ll be cereals, muesli, yoghurt; there’ll be fine coffee, juices and mineral water; and there’ll be eggs cooked for you just how you want them: boiled, poached, fried or scrambled. You’ll leave the villa on your ride already convinced that you are on an amazing holiday!